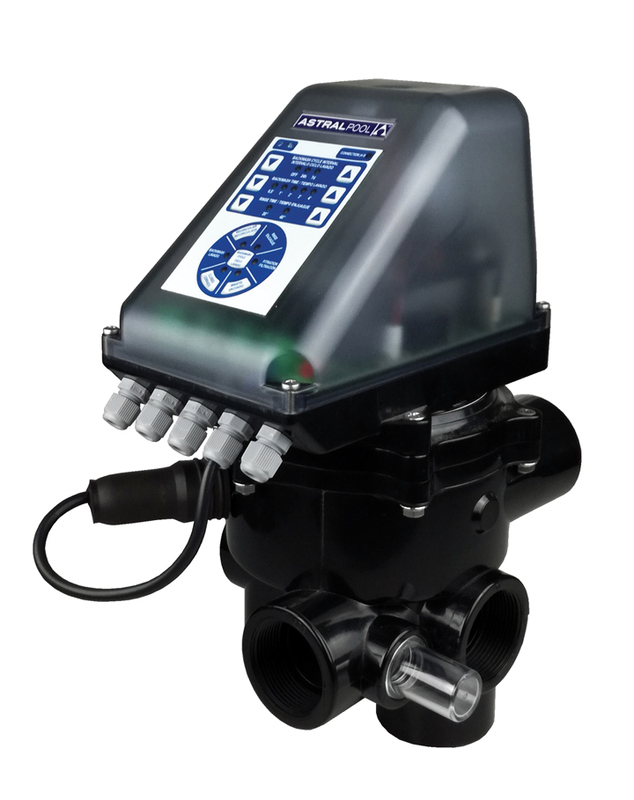 The easiest, quickest and safest way of building both residential and commercial pools. 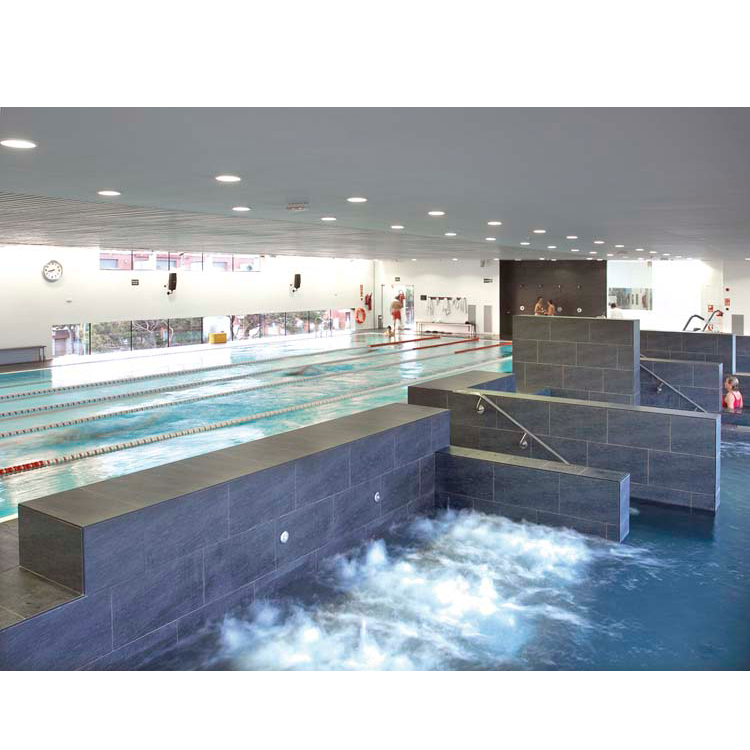 Skypool is AstralPool’s range of prefabricated panel pools that can be adapted to fit existing infrastructures or new ones. 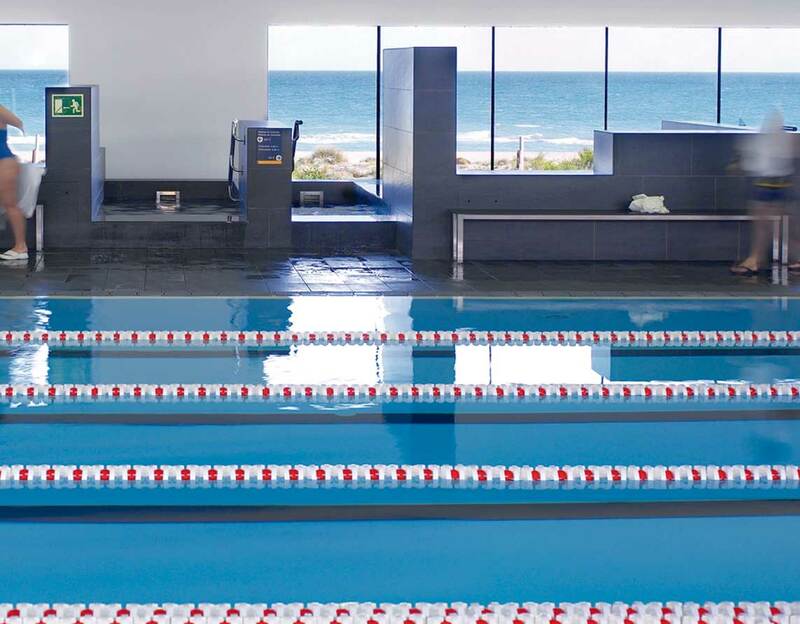 The use of these totally prefabricated panels that are easy to fasten and assemble together means that an in-ground or above-ground pool can be built in record time. 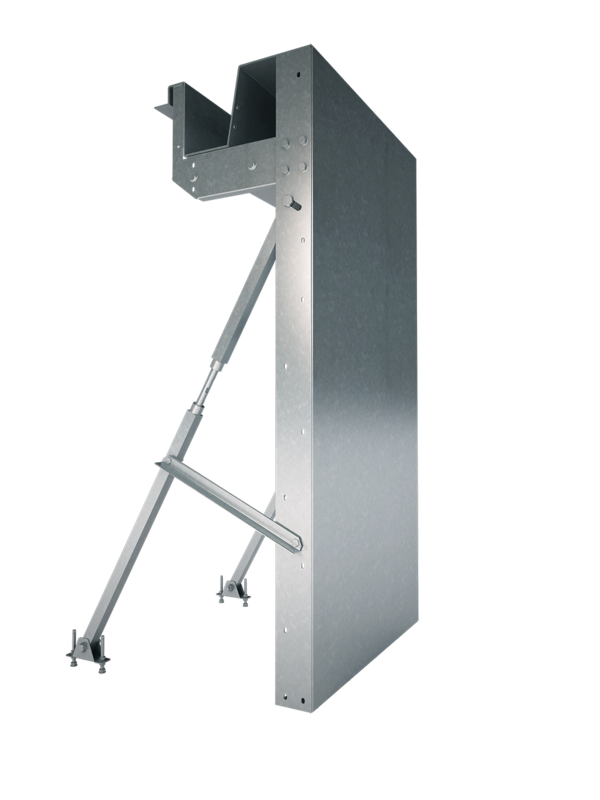 The steel panels undergo hot-dip galvanisation in a bath of zinc, which gives them excellent protection against rusting so that they last longer and their safety is guaranteed throughout their service life. 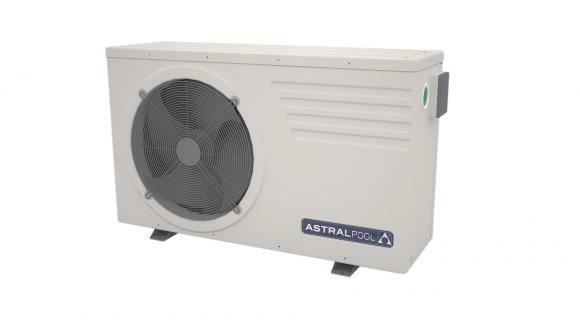 Thanks to Skypool, AstralPool is the undisputed world leader in prefabricated pools made of galvanised steel panels. Our flexibility and drive, in addition to the way we adapt to the needs and regulations of each market have led us to build pools in more than 60 countries, which has made us one of the companies with the greatest international outreach in the sector. As leaders in this sector, we have longstanding experience in the development of solutions for the world of competition. 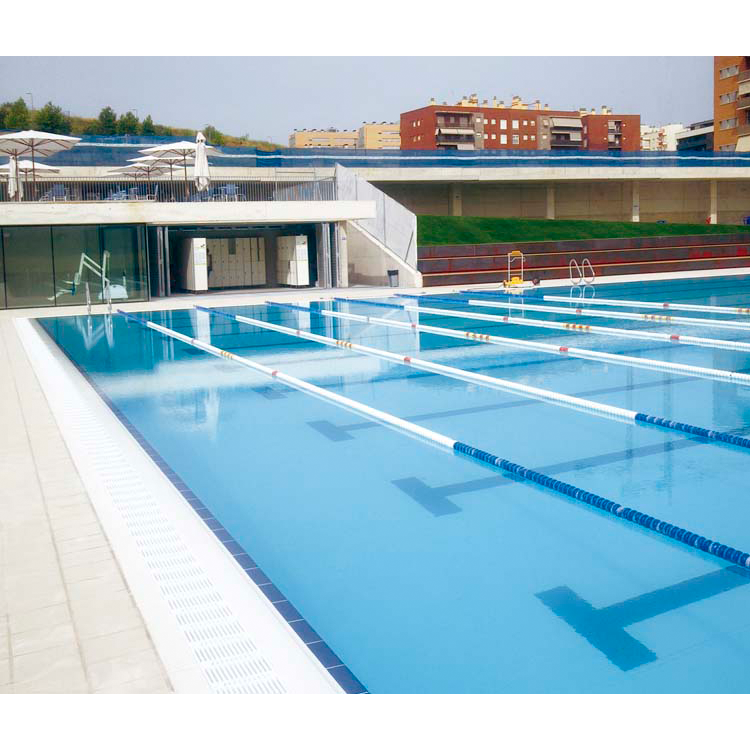 We make pools of 25 and 50 metres, as required by FINA standards and regulations. Preliminary design study and quote. 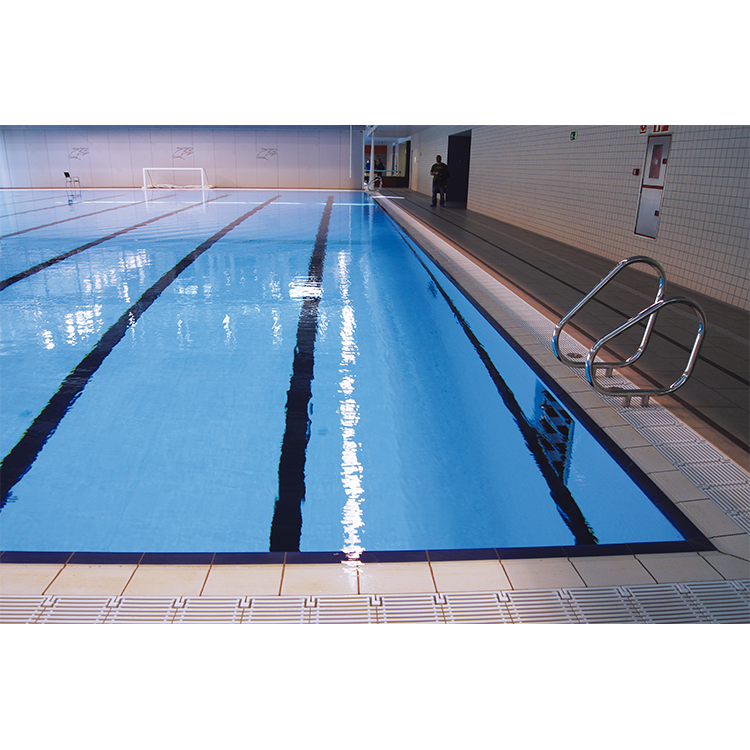 Freestanding galvanised steel panel suitable for pools of up to 2.5 m.
Only requires fastenings at the bottom. 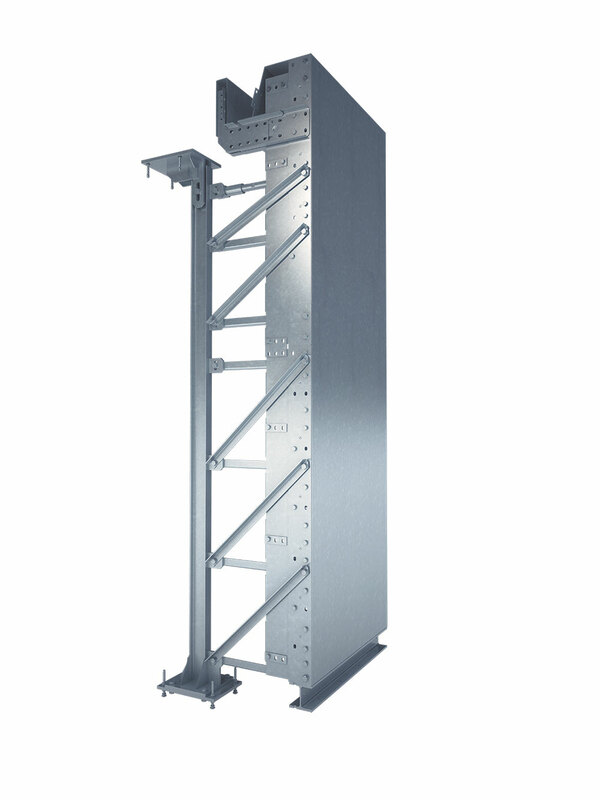 Freestanding galvanised steel panel suitable for pools of up to 3 m.
Requires fastenings at the top and bottom. 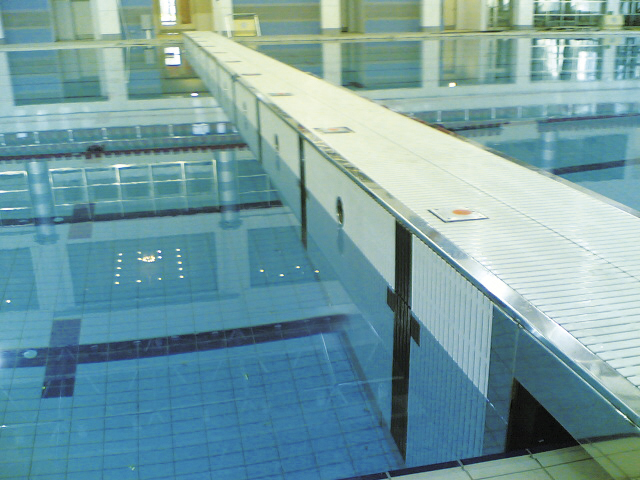 Galvanised steel panel designed for renovating any existing pool. 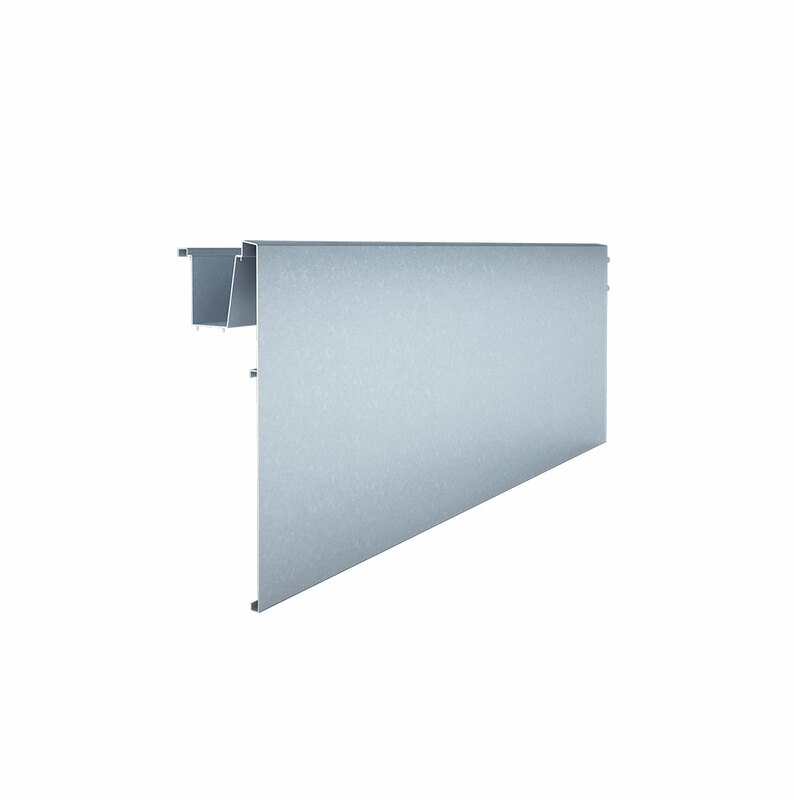 Galvanised steel panel suitable for pools of up to 3 m with decking. 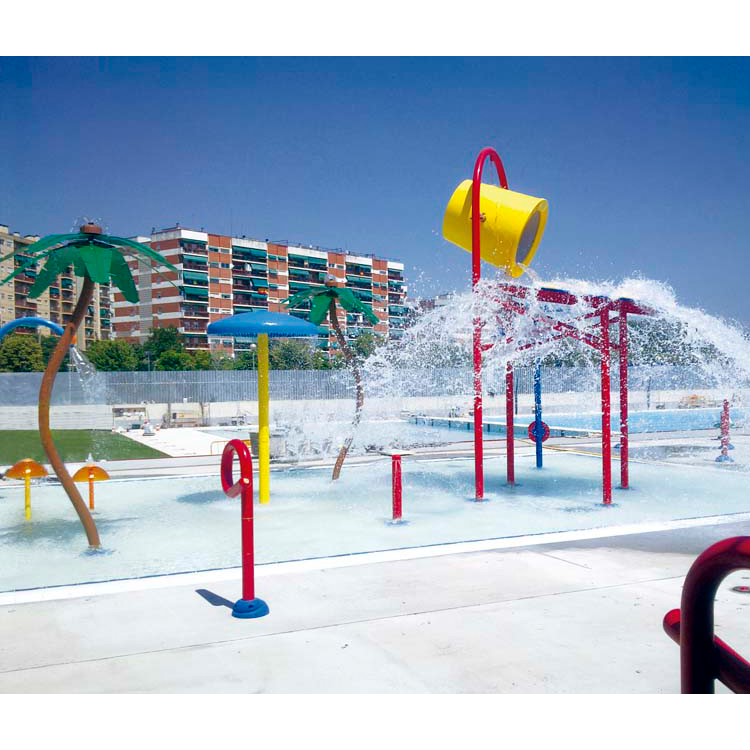 The use of complete prefabricated components together with the easy assembly system considerably reduces the time required to build a pool. 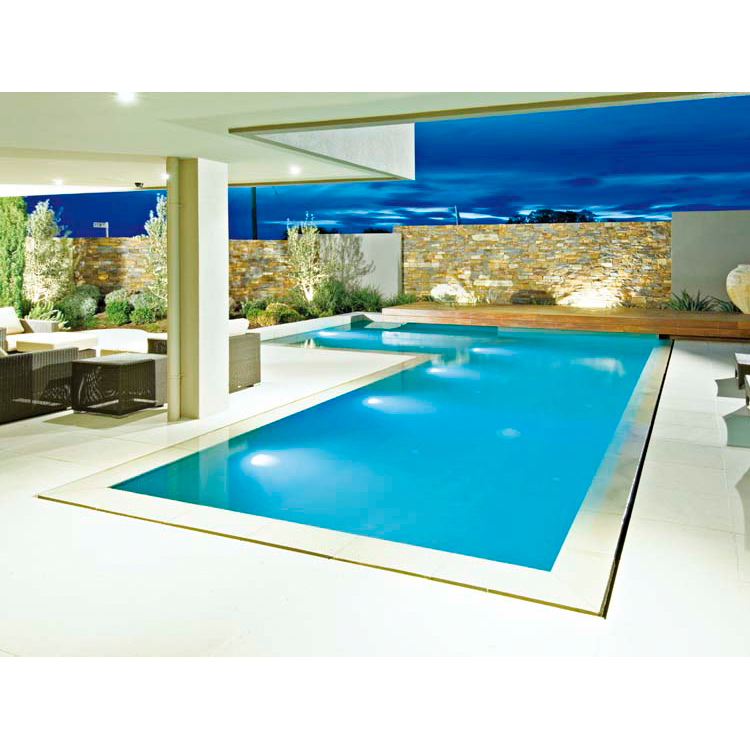 This system can be used for any design, whatever a pool's shape. 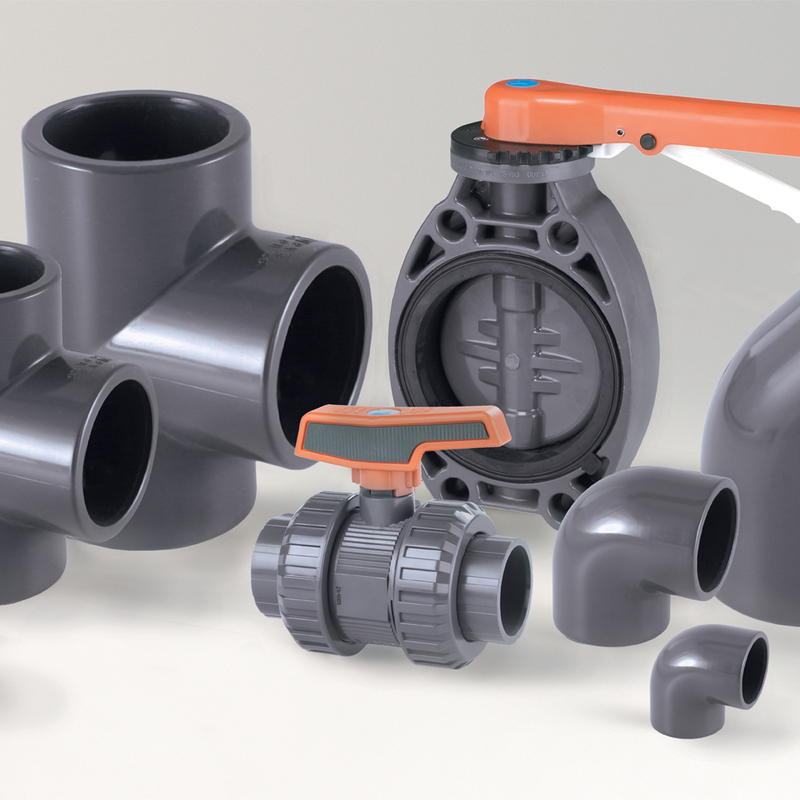 New design and manufacturing systems are used to obtain maximum quality, functionality and durability of all pool components. 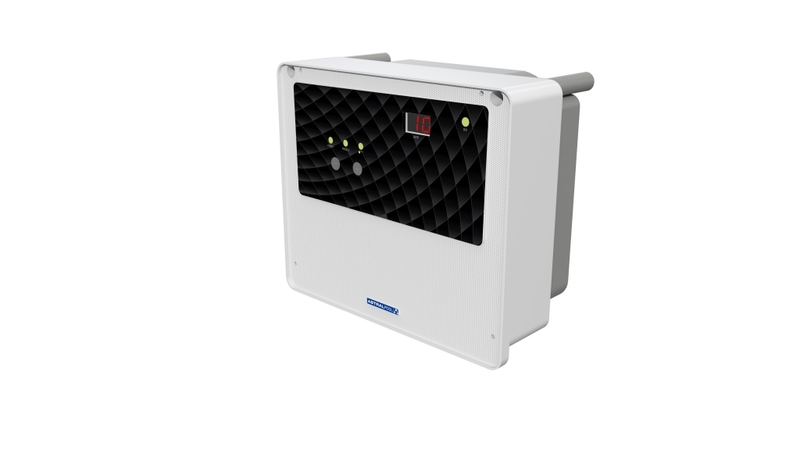 The metal structure has a 20-year warranty. Choose a place and we'll build a pool there! 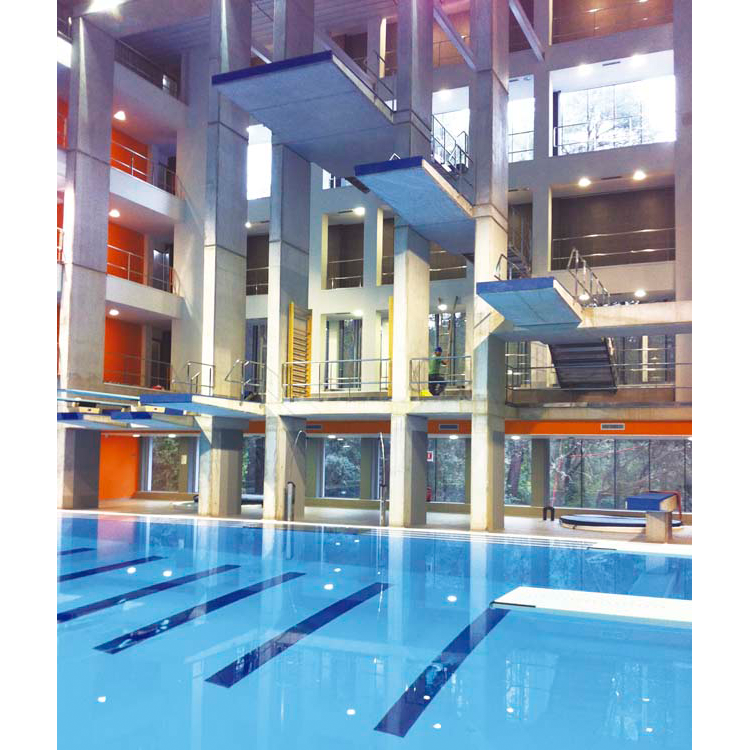 The advantage of the lightweight structure that is easily adaptable is that pools can be built even in awkward conditions. Small spaces, rooftops, stadiums, etc. 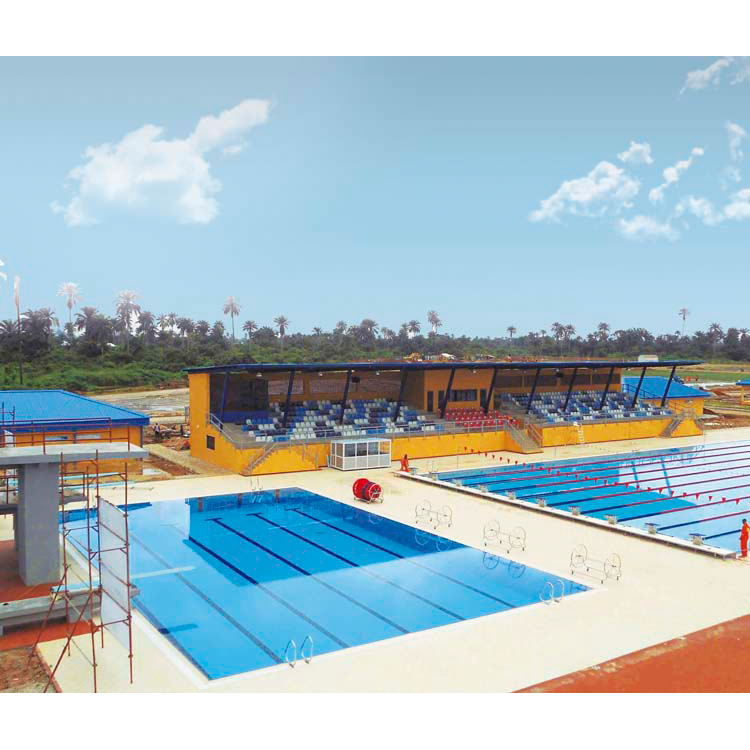 As no complex infrastructure has to be built, a high performance pool can be obtained at a lower cost. The use of the very best components, together with a totally safe construction system, delivers the reliability required in this type of facility. All components can be recycled, are non-contaminating and are manufactured using processes with a low environmental impact. 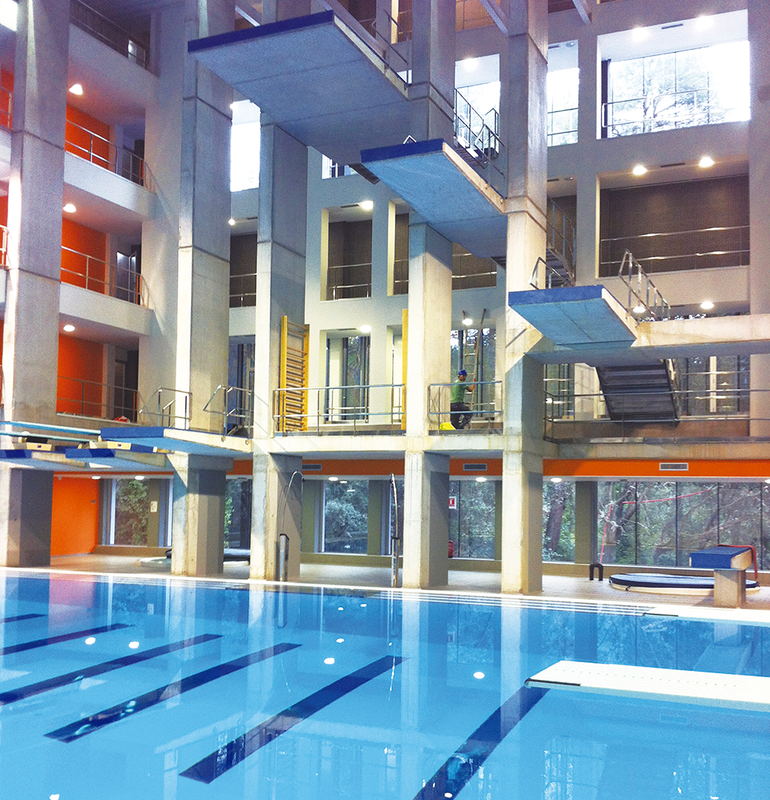 Thanks to the technology used in the construction of Skypool panels, they are fully compliant with FINA regulations. 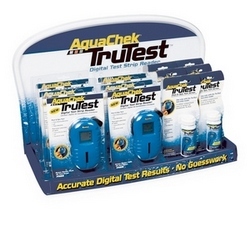 There is an extremely easy and efficient system for adjusting the level and angles of a pool. 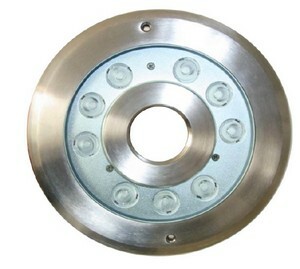 The access through the system's manholes enables all adjustment to be made. There are no cracks. 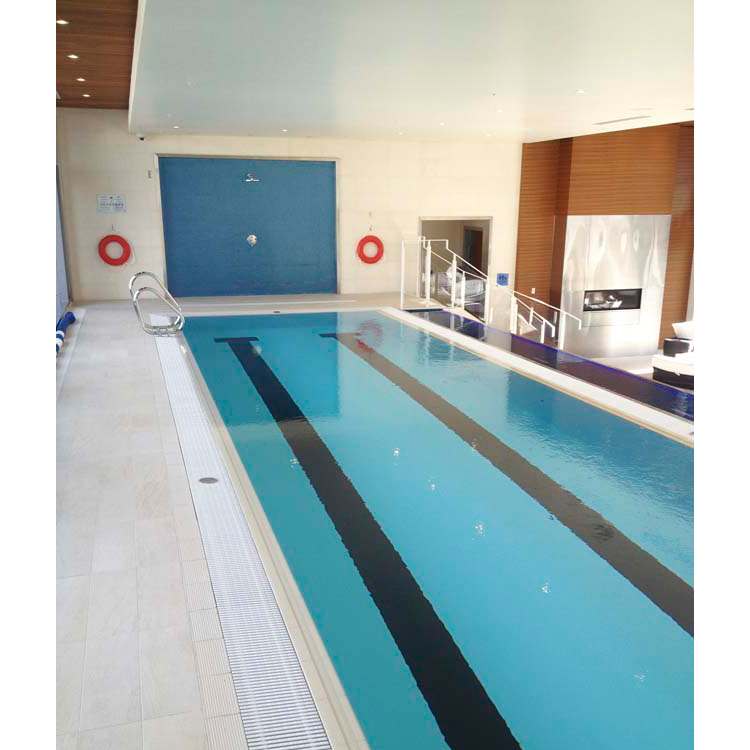 The perfect fit of the assembled Skypool panels covered by the liner ensure the pool shell is completely watertight. 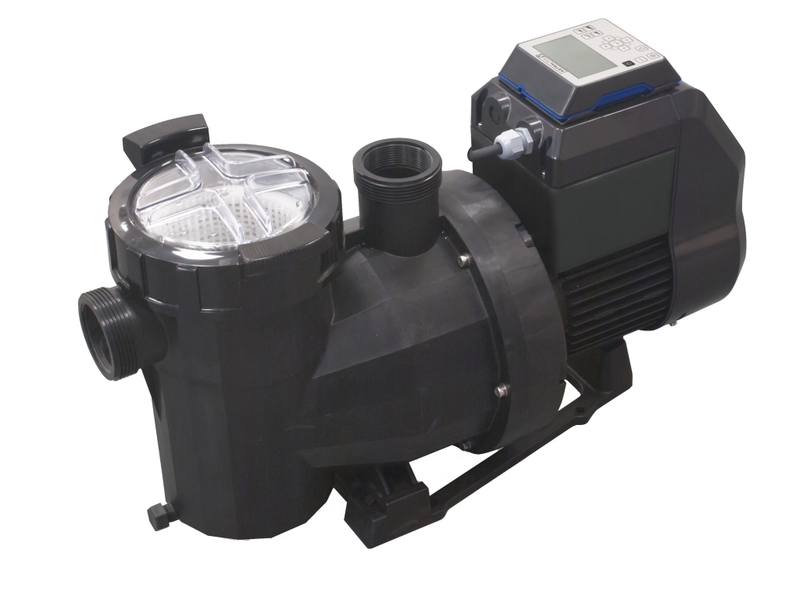 Furthermore, the system has been designed to withstand land movements and subsidence, in addition to the pressure exerted when a pool is emptied or filled. 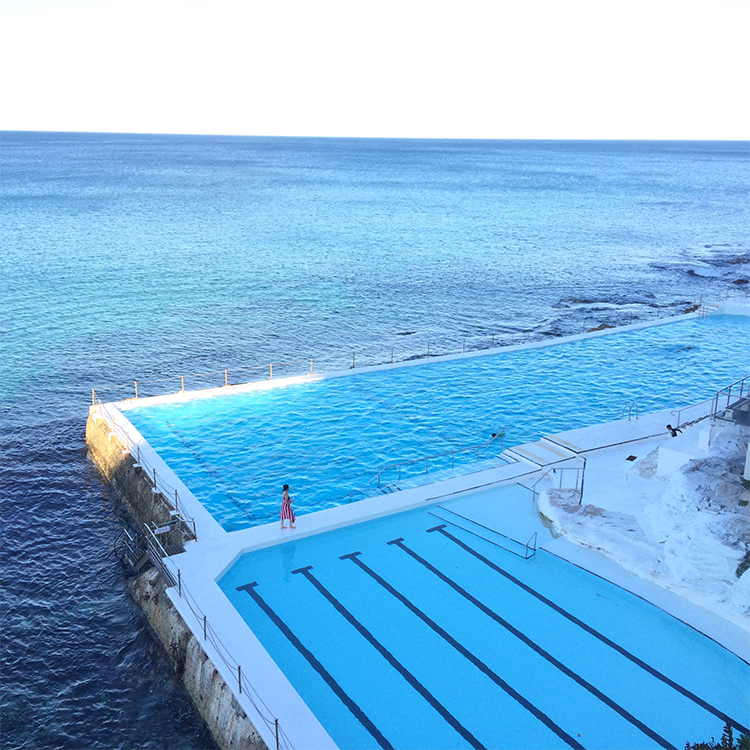 Thanks to the technology used in the construction of Skypool panel pools, their precision an accuracy comply with FINA regulations. Making the pool level and the layout of angles right is extremely easy and efficient. 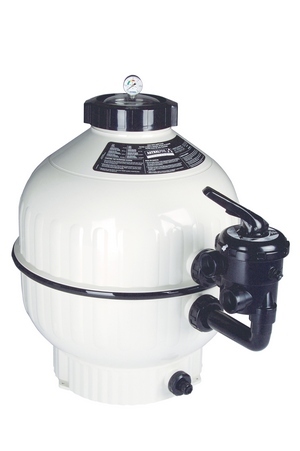 Any other adjustments that need to be done can be done from the pool’s manholes. 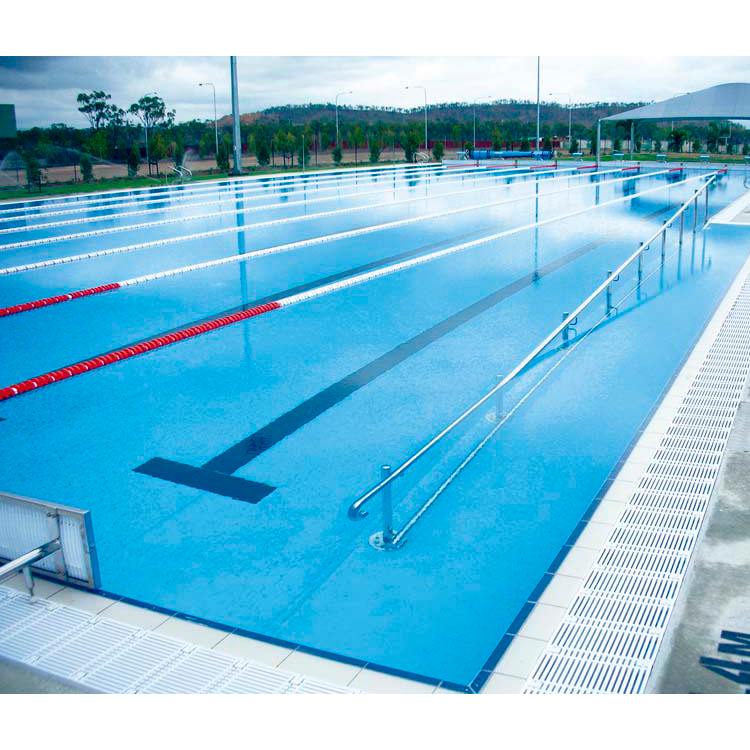 It can take as much as two months off the time to manufacture and install an Olympic Skypool (50 x 25 x 2 m) in comparison with a concrete pool. 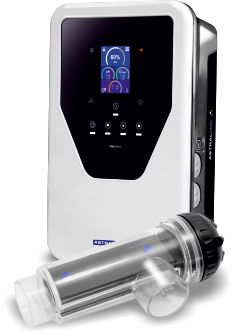 This considerably reduces indirect and opportunity costs. 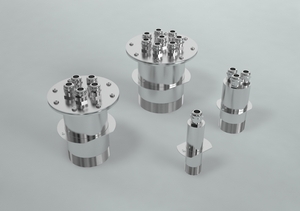 As there are manholes for access to components, any problems are more quickly located so repair and maintenance work is easier and costs less. 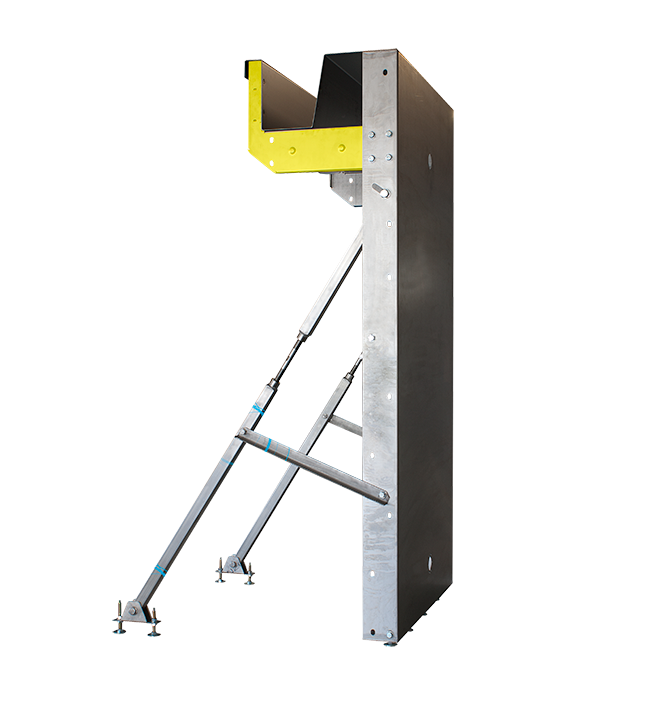 The brackets are adjustable and allow a pool to be correctly assembled to the nearest millimetre. For greater stability of the panels. 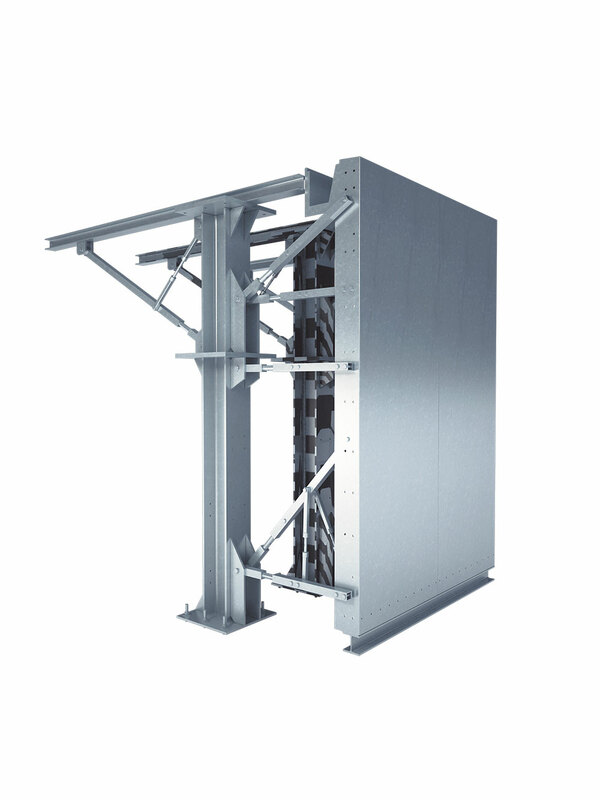 The support system enables the panels to be firmly fastened to the ground. 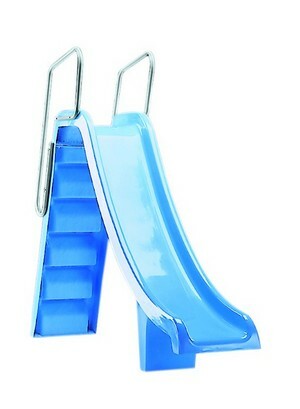 When diving off a diving board, the undisturbed water forms a fairly resistant surface, which if combined with a bad descent can result in serious injury on impact. 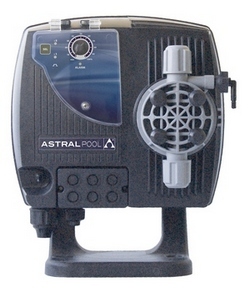 AstralPool has added Sparger technology to its pools in the shape of a new safety system for diving pools. 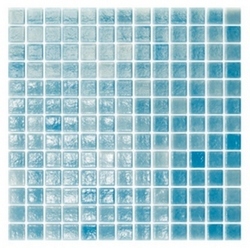 Air is released at high pressure from the pool floor, which forms a large amount of bubbles when it mixes with the water to form a cushion for divers. This reduces the risk of injury and divers are more confident when they dive into the water, whether they are beginners or professionals. 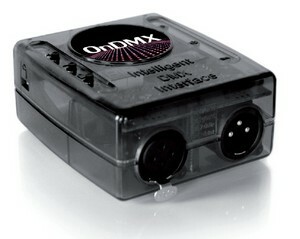 Technology that allows a single pool to be divided into two separate pools for different uses. 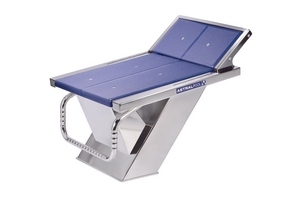 This therefore makes better use of space and gives swimmers a greater variety of options for a lower overall cost. 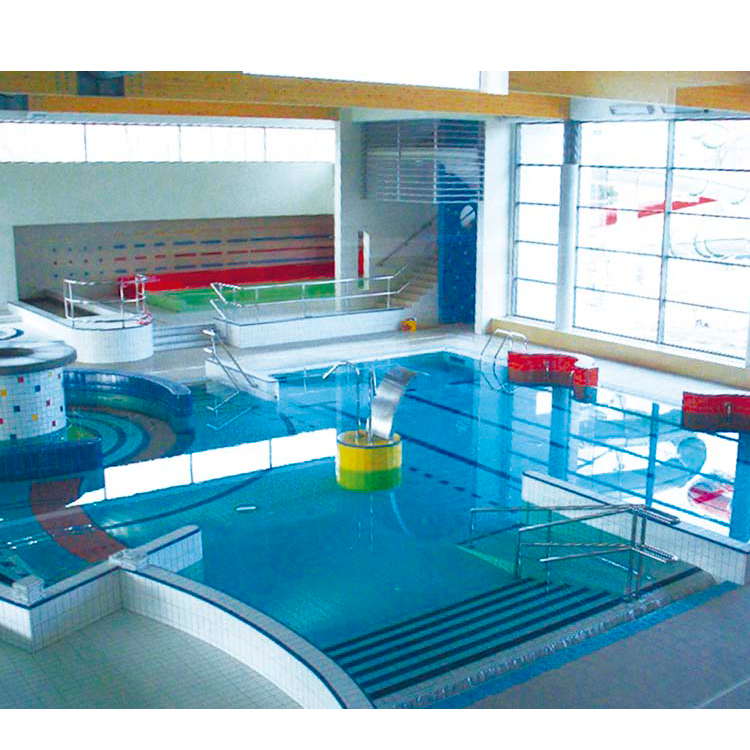 The movable wall system is able to adapt to and be used in existing pools or newly built ones. 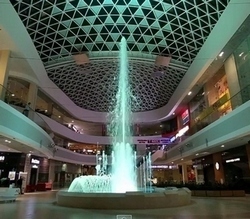 The movable wall is made of AISI-304 stainless steel and is lined with white plastic non-slip sheeting.